More than 100 people in Warwickshire have been arrested for driving under the influence in December. 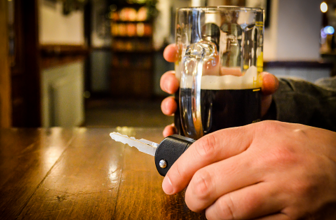 A month-long winter drink drive campaign was carried out by Warwickshire Police and West Mercia in a bid to stop drivers getting behind the wheel after having a drink or taking drugs. Between 2012 and 2014 some 14 people were killed and more than 180 seriously injured in collisions where drink or drugs were recorded as a contributory factor. If you drive at twice the legal alcohol limit you are at least 30 times more likely to cause a road crash.